President Buhari sympathizes with victims of Jos terminus Market fire – Royal Times of Nigeria. President Muhammadu Buhari has sympathised with the victims of Jos Terminus Market where more than 200 shops were destroyed by fire. President Buhari expressed his feelings in a statement issued by Malam Garba Shehu, his Senior Special Assistant on Media and Publicity, in Abuja today. 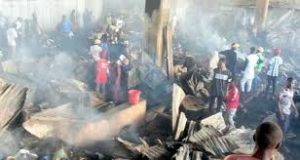 Properties worth millions of naira, were on Saturday morning destroyed in Jos Terminus Market as traders wept and counting their losses. The Chairman of the traders association in Plateau, Mr Abdulrahman Yusuf, told journalists in Jos that over 270 shops with property worth millions of naira were destroyed. 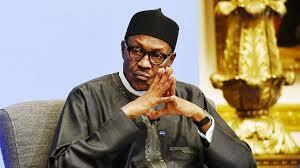 Buhari said he was worried that the latest fire disaster at the Jos Terminus Market was the third in less than 10 years. The president also appealed to the local authorities concerned to take every necessary measure to forestall frequent fire incidents.